U.S. Customs and Border Protection (CBP) is evaluating the various technologies it can use to secure the southern border and vet incoming travelers. “As you may have heard, CBP is involved in building a wall on the southwest border,” said U.S. Border Control Chief Ronald Vitiello at the AFCEA Homeland Security Conference on Sept. 12. Vitiello said that CBP has received directives from President Donald Trump that clarify the nomenclature of the “wall” to be built between the U.S. and Mexico. 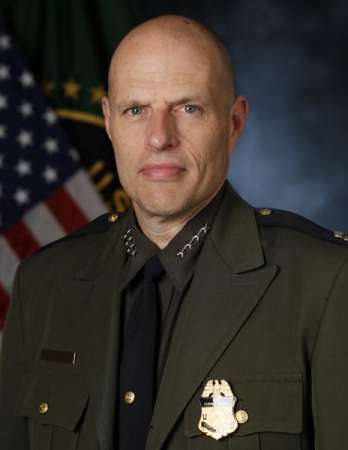 Vitiello explained that the “wall” will be built by creating a stronger Border Patrol with updated capabilities. “When we talk about ‘wall’ we talk about impedance and denial,” Vitiello said. Impeding and denying entry to immigrants without proper documents is one component of the wall. Other components include situational awareness, rapid response, and mission readiness. The Border Patrol plans to use sensors and surveillance to build situational awareness and aid in its ability to arrive at the scene of a conflict quickly, with the right expertise and equipment. Vitiello said that CBP discussed technologies that would enhance the “wall” with representatives from Israel. “They advised us not to build a wall that’s dumb,” Vitiello said. CBP’s plans to incorporate sensors into its border surveillance process aligns with Rep. Will Hurd’s, R-Texas, bill introduced in July that offers a plan to build a “smart” wall along the southern border of the United States. Hurd teamed up with Palmer Luckey, Silicon Valley and virtual reality entrepreneur, on the idea for the Secure Miles with All Resources and Technology Act, or SMART Act. The wall would cost on the high side $500,000 per mile, which is under the $24.5 million per mile price tag of the government’s fiscal year 2018 wall money request, according to estimates from Anduril Industries, a Silicon Valley-based defense technology company founded by Luckey, who also founded Oculus VR. CBP has a plan for upgrading its capabilities through 2018 and is working on a longer term plan, according to Vitiello. CBP is hiring 500 air and marine officers and 5,000 Border Patrol agents. CBP is struggling to hire that many new employees because it doesn’t want to lower its standards and it’s forced to compete with other hiring agencies like U.S. Immigration and Customs Enforcement. “We’re not keeping up currently with attrition even with the modernization of the hiring process,” Vitiello said. In order to protect the U.S. from overseas threats, CBP is deploying facial recognition technology for outbound air travel, and plans to deploy this technology on inbound air travel and vehicle travel. CBP is modernizing the way it reviews visa applicants by looking at social media accounts and smartphones. The agency is focused on finding the relevant data to vet applicants quickly and get a clear picture of whom the U.S. is planning to accept into the country.